One of the biggest benefits of wearing biking gloves is the added grip and control you’ll achieve. Everything from sweat to rainy conditions can make your handlebars slippery, and without gloves, you’re much more likely to make an avoidable mistake while riding. By wearing gloves, you’ll also get more protection from the constant friction between your hands and the handlebars. This rubbing can cause blisters or chafing that will quickly make your cycling a much less pleasurable experience. 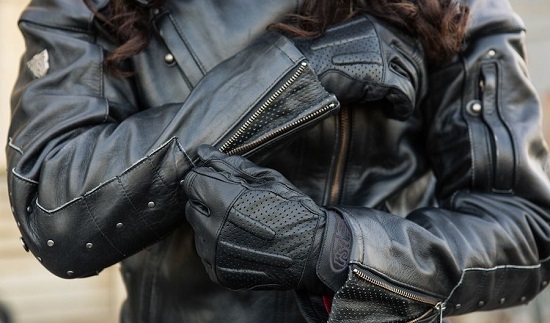 The padding in most bike gloves helps ward off chronic conditions that have been linked with biking, too, such as numbness or carpal tunnel syndrome. The two most popular types of biking, mountain and road, require different apparel, and therefore, bike gloves, to protect you in various conditions. When it comes to mountain biking, gloves are most essential for grip and protection. When you’re riding trails and hopping down boulders, your hands need to be more or less an extension of your handlebars to maintain control. Choose a mountain biking glove that’s textured on the palm for maximum grip. These gloves should also have padding in the palm to protect your hands from injuries that can develop over time. Because there’s an added risk of crashing when mountain biking, gloves should also be durable enough to withstand any impacts you may encounter while riding. This will help you use your hands to brace yourself if you do take a spill. Make sure to try on a few different sizes of gloves. If they’re too big, your hands could slide around while riding, negating the benefits of added grip. Gloves are crucial for road biking, too, but for somewhat different reasons. Road bikes don’t have the superior suspension of mountain bikes, so any shock delivered by the road can travel up the fork, through the handlebars, into the hands, and even up into the shoulders and back. Padded road biking gloves absorb shock to keep you more comfortable on a long ride. Another feature of many road biking gloves is a fleece or cloth patch on the thumb, which comes in handy if you’ve got a runny nose or sweaty brow and need to wipe it down while riding. Serious cycling doesn’t leave time for stopping to get your tissues, so such a feature is often much handier than you think. When looking for gloves, you’ll come across two basic styles. Fingerless gloves are great when you want to feel the brakes and shifters, and they also allow more breathability when biking in hot temperatures. They’re more commonly used when road biking. Mountain bikers prefer the greater grip and protection offered by full-finger gloves. The extra coverage of these gloves makes them a crucial part of cold-weather BIKE CLOTHING, as slow-moving or even numb fingers can certainly put a damper on your braking and shifting abilities. Both types of gloves are typically made of synthetic leather in the palm for protection against rubbing, and other synthetics, such as polyester and spandex, in the rest of the glove for mobility and comfort. The best gloves feature breathability technology to minimize sweating.